If you’re Starting and running a “Start-up” in the world of business, you’re going to face several challenges. Facing a failure at the beginning of any enterprise is common. As a “Start-up,” your tenure would be marked as a hit-n-miss opportunity and with an initial hiccup. If you haven’t planned well, legal issues will take over your company. You might find yourself paying extortionate fees to rectify those issues or find yourself getting shut down. Or other competitors might take advantage of your lack of knowledge to boost their operations. So Legal matters are one of the leading junctures which an entrepreneur often overlooks, often leading to troubles later on. Besides giving shape to your start-up, you need to keep yourself updated on legal steps, to ensure a smooth-sail into progress. So, if you want to turn your stumbling start-up into a flourishing enterprise, you need to know your stuff. Choosing the business structure is the most important initial decision you have to make at the start of your business. You can opt from a variety options for your company registration like Private Company Registration. 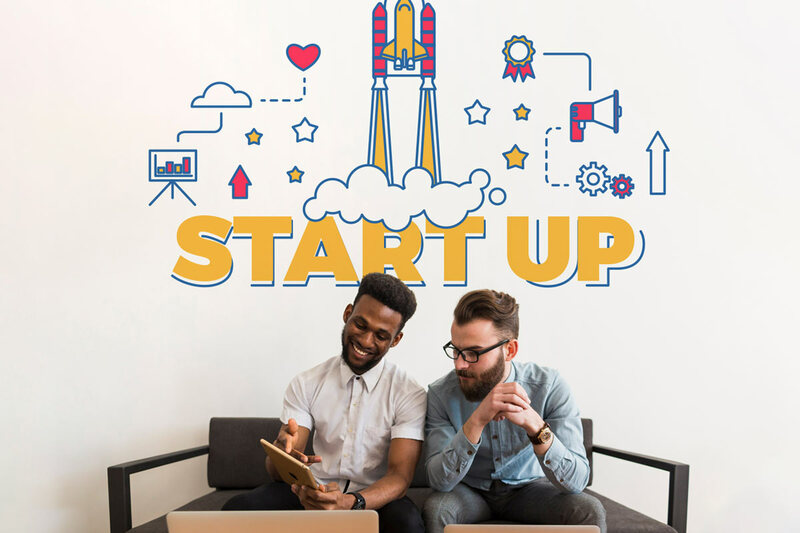 Your plans would heavily depend upon the legal structure of your start-up. It has an impact on what kind of investors you can accept, your legal liability, your tax liability, many other issues and so on. Selecting the wrong kind of business structure; you might end up with unlimited personal liability for debts incurred by your company. So, you need to keep various factors into consideration, which include management, ownership, tax registration, funding, profit sharing, administration control, type of business and many more. Therefore, understand all options and choose carefully when you form your company. In India, licenses and business registration are extremely important to operate a business lawfully in a territorial jurisdiction. It may include service tax registration, TAN registration, VAT registration, PAN registration, etc. Unless it happens, it could become a subject of analysis under the government authorities. Also, shareholders need to be kept in mind as breech and fraud in agreement often happen due to lack of shareholder’s agreement. It is of essentiality to have a shareholder’s agreement, even if the people in question are family members or friends. One of the common mistakes that start-ups do is not registering their trademarks. This can turn to be costly as to survive in a competitive market; organizations often end up stealing ideas and other entities. A large number of companies begin to use a name and find out that another company has already been using that same name. A company should usually do a trademark search on the web and with the USPTO to ensure that a business name is available. A lawyer can help you register your name as well as a logo and assist you with protecting against anyone infringing on your intellectual property. You must protect your intellectual rights, not only for yourself but also for the organization as a whole. Go for the trademark registration and bear the responsibilities of an owner. Anything related to the employee rights, you need to be careful with the legal jurisdiction. Failing to adhere the right thing regards to sickness, vacations and disciplinary action can result in action being taken against you. It’s important to seek the correct information about employee rights to prevent any nasty occurrences down the line. This is important in the case of dismissal. Instances of bullying and sexual harassment in the workplace, often lead to the strict punishment. It is necessary to have a patent and copyright. Otherwise, it might be possible that your competitor will steal your hard work and use it as own. Make sure that the contractor should be employed on “work for hire” basis so that that company will own the rights to their work. With a patent, talk to a lawyer first to see if there’s a chance they could get one. In the rage of marketing, you need to be careful while using free language in regards to your services or products it might have adverse outcomes. Anything that is seen as a misleading or fraudulent can often cause issues. Therefore, you should not opt for a loose language while representing your products or services that are utterly false. A carefully thought campaign would help in the long run. While you negotiate for a third-party agreement, you should also include a non-disclosure agreement, which protects your rights of intellectual property. It should highlight all the points of agreement in the case of a breach, dispute or termination occurs. At the end, you will have proper documentation that prevents any harm to your start-up. It would be advisable to enlist the help of a lawyer, but self-education on these pointers would ensure the prevention from legal complications happens beforehand. If you decide on an ownership structure which requires documentation and formalities, you must actually follow through and prepare these documents. If your organisational documents are improperly done or not done at all, the protection you were hoping to get from your ownership structure might be void if it ever comes to a legal challenge in a court of law. The same is true of keeping proper corporate records, such as human resources and tax records. If your records are not well kept, you could end up facing personal liability when and where you least expect it. Afleo.com wants to be your companion if you are thinking of registering your start up. It is one of the domains where we have done lots of work. Apart from that we have expertise in the domains of taxation, compliances, filings, etc.